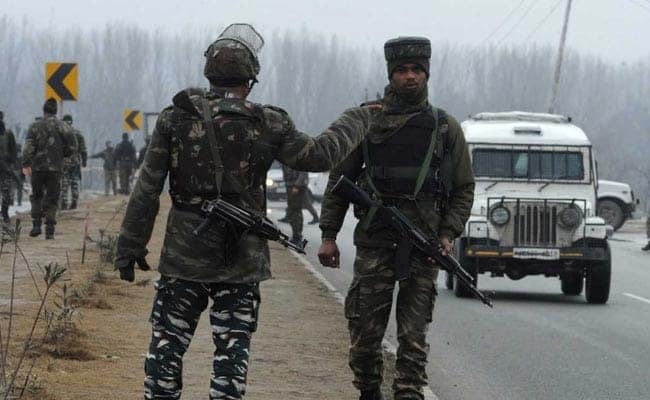 Pulwama terror attack: Through a dossier, India wants to expose the neighbouring country's links with terrorism and build pressure on Pakistan, sources said. 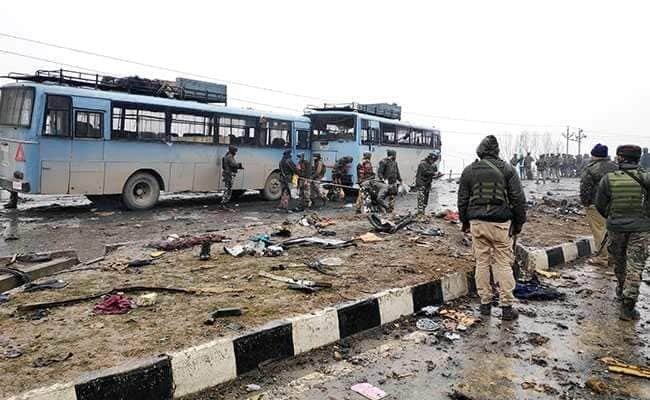 The country's top intelligence officers along with Home Minister Rajnath Singh held a closed-door meeting in Delhi today to prepare a dossier on Pakistan's involvement in the car bomb attack that killed over 40 CRPF soldiers in Jammu and Kashmir's Pulwama on Thursday, sources told NDTV. "A dossier, nailing the culpability of Pakistan in the terror attack in Pulwama, will be given to the FATF," a senior official told NDTV. The Financial Action Task Force (FATF) is an inter-governmental body that works to stop terror financing, among other objectives. Through this dossier, India wants to expose the neighbouring country's links with terrorism and build pressure on Pakistan, sources said. 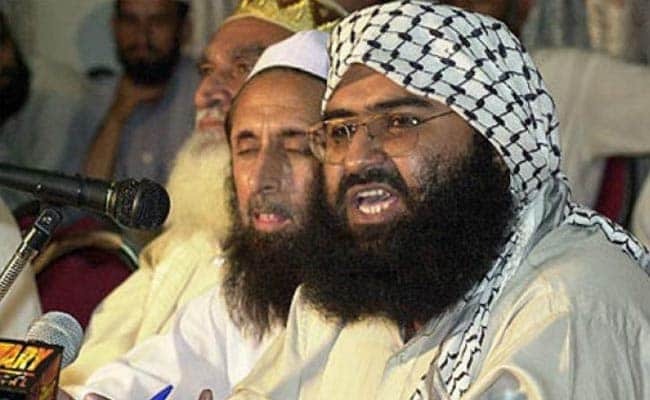 The attack on the CRPF convoy was carried out by a terrorist of the Pakistan-based Jaish-e-Mohammed (JeM), whose chief Masood Azhar is roaming freely in that country. The officials including the chief of spy agency Research and Analysis Wing Anil Dhasmana, National Security Adviser Ajit Doval, Home Secretary Rajiv Gauba and Director of the domestic espionage agency Intelligence Bureau Rajiv Jain, among others, agreed with Rajnath Singh that the dossier would contain exhaustive details showing proof of Pakistan's involvement in the Pulwama attack and other cases, sources told NDTV. The top echelon of the spy agencies will mention how the 22-year-old JeM terrorist, Adil Ahmad Dar, appeared in videos soon after the attack on the CRPF convoy, reinforcing India's stand that the Pakistan-based JeM and other terror groups need to be destroyed. 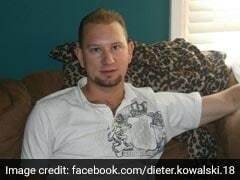 The dossier will have details about Adil Ahmad Dar's handler, who is believed to be hiding in Kashmir region, sources said, adding the security forces are trying to trace him. The Paris-headquartered FATF will also be told through the dossier how Pakistani agencies are providing funds to the JeM, the official said. In the next meeting of the FATF, to be held next week in Paris, India will press for blacklisting of Pakistan so that action can be taken against the country, another official said. The FATF blacklist means the country concerned is "non-cooperative" in the global fight against money laundering and terrorist financing. If the FATF blacklists Pakistan, it may lead to downgrading of the country by lenders like International Monetary Fund, World Bank, Asian Development Bank and European Union. Pakistan was put on the grey list of the anti-terror finance watchdog in July 2018. India has already asked the international community to exert pressure on Pakistan to come clean on giving shelter to terrorists on its soil. India also wants the UN Security Council to designate Masood Azhar as a global terrorist, a move that has been blocked by China. India has started meeting envoys of the United Nation P5 countries - which includes China - the Gulf, Japan and European nations to brief them about Pakistan's role in sponsoring terror, sources have told NDTV. The P5 refers to the United Nations Security Council's five permanent members - United States, United Kingdom, Russia, France and China. After a meeting of the Cabinet Committee on Security at Prime Minister Narendra Modi's home on Friday, the government also scrapped 'Most Favoured Nation' status for Pakistan, which was never reciprocated. Pakistan's Ministry of Foreign Affairs called the Pulwama attack a matter of "grave concern". But in a brief statement, it added, "We strongly reject any insinuation by elements in the Indian government and media circles that seek to link the attack to the State of Pakistan without investigations."